A meatloaf dinner is always a welcomed meal around my house. I decided to really dial up the spice factor with this Masala Meatloaf. I loaded the meatloaf not only with spices, but lots of vegetables and lean meat so it was pretty healthy too. 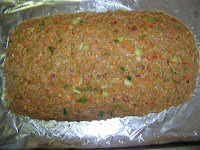 This meatloaf would go well with mashed potatoes, roasted vegetables like cauliflower, asparagus or a big salad. 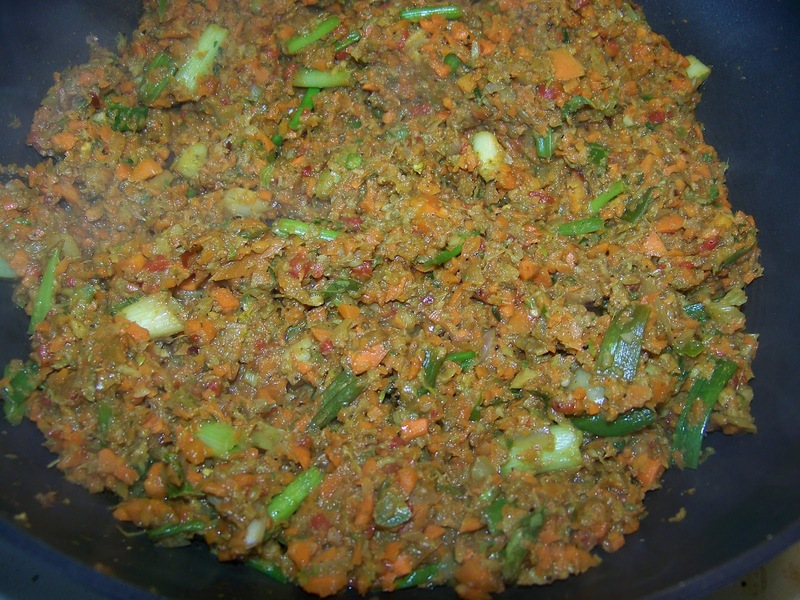 We actually ate it with rice and lentils and it was fabulous. My favorite part of making a big hearty meatloaf is we have leftovers for a few days and I'm all about leftover meatloaf sandwiches. 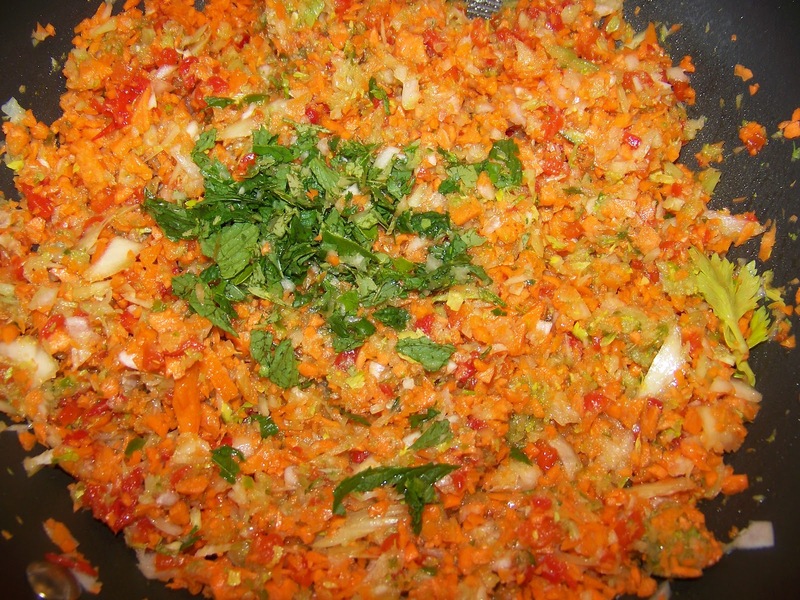 Note: I actually put the carrots, celery, onions, mint, curry leaves and chilies in the food processor to make quick work of the mincing. You want them to be textured, but small as pictured above. 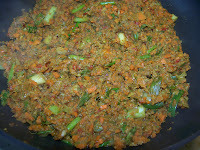 In a large pan fry the carrots, celery, onions, mint, curry leaves and chilies and scallions. When the vegetables soften add the ginger and garlic and saute for another 2 minutes. 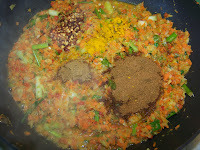 Then add the garam masala, cumin, turmeric and salt and saute for several more minutes. 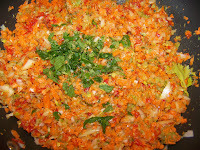 Cook the water out that the vegetables will give off. The mixture should be dry. Taste for seasoning (this mixture will be a little strong, but it will balance out once mixed with the meat). Allow the mixture to cool down. In a separate bowl mix the bread and milk together and crumble. 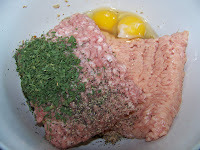 Then add the ground chicken, pork, eggs, parsley and some additional salt and pepper. 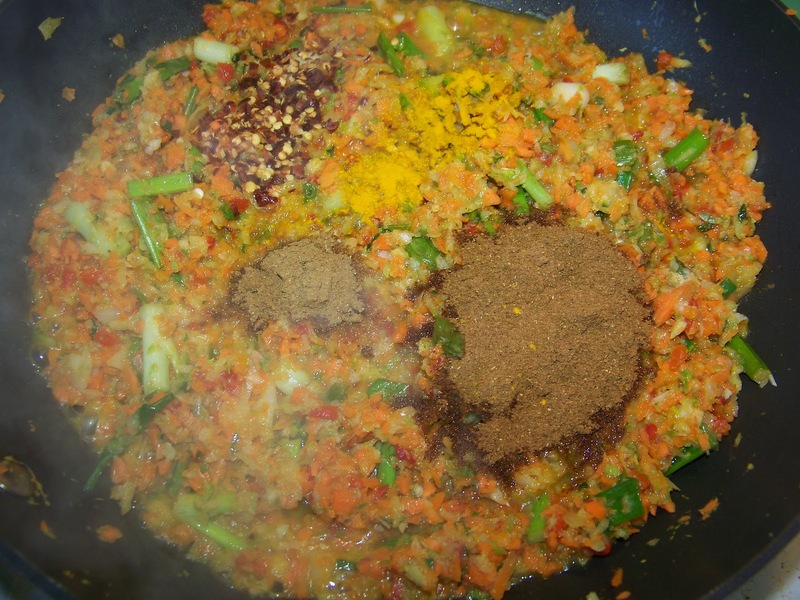 Mix the masala vegetable mixture with the meat mixture. Free form the meatloaf mixture onto a baking tray. I suggest you cover the baking tray with some foil and spray it with cooking spray or oil first. 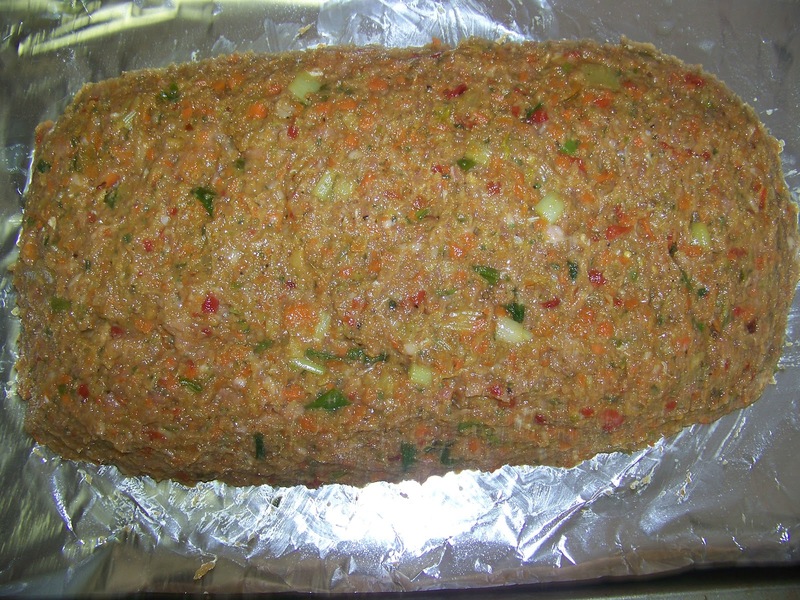 Once the meatloaf is formed into a loaf, place in a 400 degree oven for 50-60 minutes until cooked. 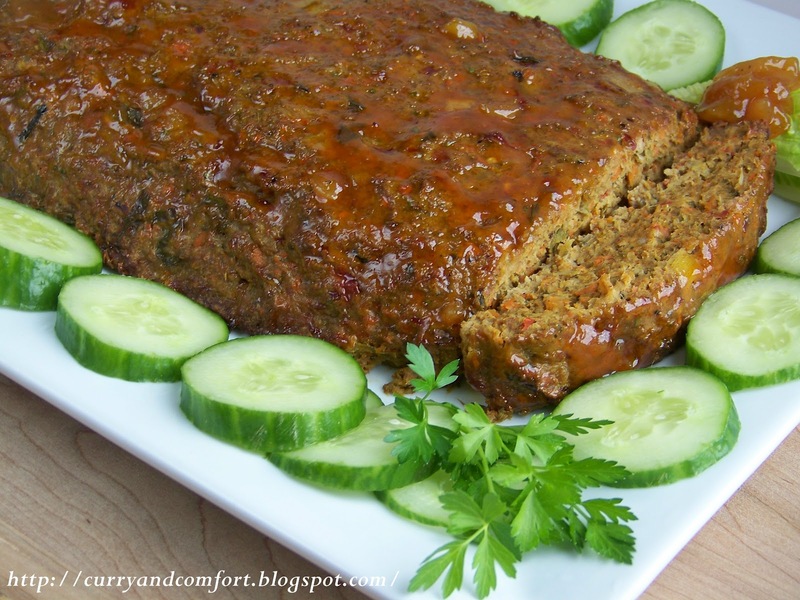 Glaze meatloaf with sweet mango chutney. Serve hot. Enjoy. Look incredible..i dont mind to have a slice rite now.. 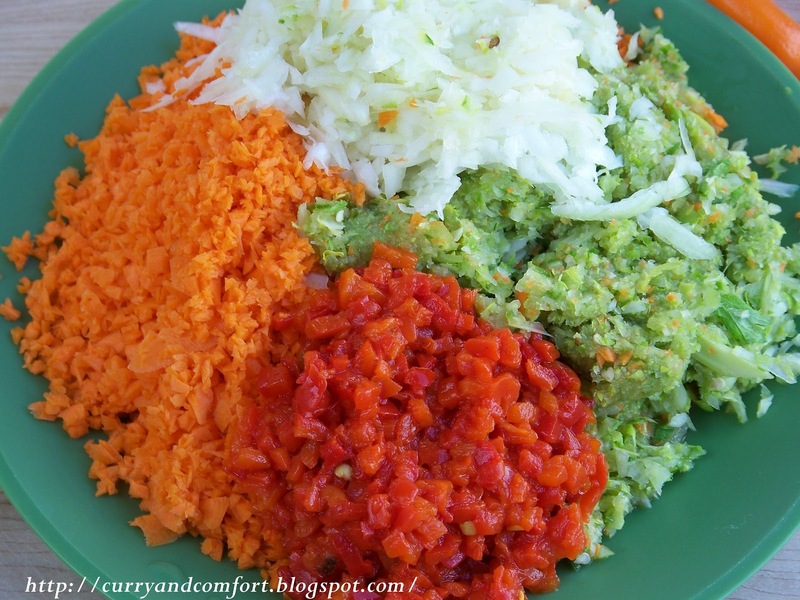 This looks really great- I love all the veggies, meat combo and other spices you added in. Pinned/saved to try this soon! looks fantastic. wow. i love left over meatloaf for sandwiches. That looks amazing! Never would've thought of Indian meatloaf. Nicely done! I have never seen a better looking meatloaf! We love meatloaf. Your meatloaf sounds and looks great. I love that you used chicken and pork for this. And the masala is a great idea. Mine never look this good. I swear, you are the queen of meatballs and meatloaf! So creative! And you know I love the chicken and all the veggies! This looks so cool! Amazing flavours, delicious and healthy...and love that mango chutney glaze on the top. Well done! This recipe includes the who's who of the spice and herb world. I bet this is a knock your socks off recipe! 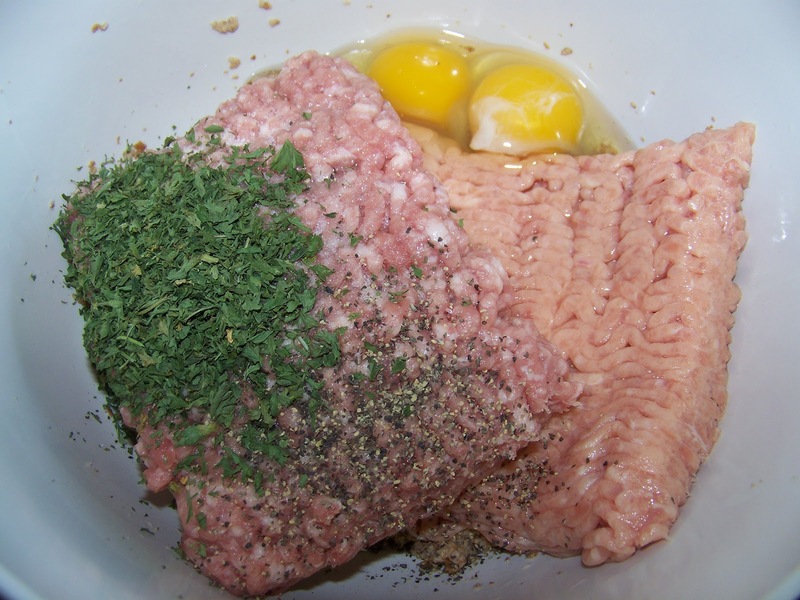 Great meatloaf recipe! I love meatloaf, but my husband complains if I say I'm making it for dinner. Although, he actually likes it too! I love the flavors though in yours! Again, your have gorgeous photos of meatloaf! It sounds wonderful, my friend...and a huge congrats for your Top 9 today!!! Congrats on being in Today's Top 9! 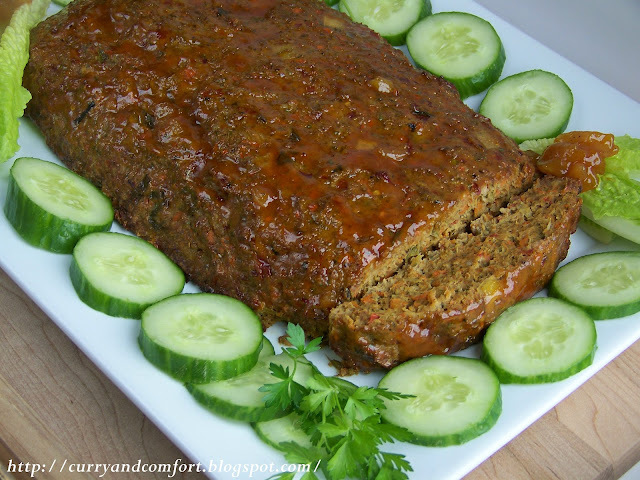 Meatloaf with some spice very very nice! Wow, Ramona I must have missed this while I was doing my spring cleaning, LOL. I really did get some things done. Congrats on the Top 9, way to go. I love the Indian flavours in this. Sounds really tasty. This sounds wonderful! You can even make meatloaf sound exciting. :) Oh, and congrats on the "top 9"! Oooh - I didn't grow up on meatloaf, but a masala version sounds like I'd be absolutely in love with it :) Very creative! I always thought meatloaf was so boring, but I think you just proved that some people (like YOU) can change that! 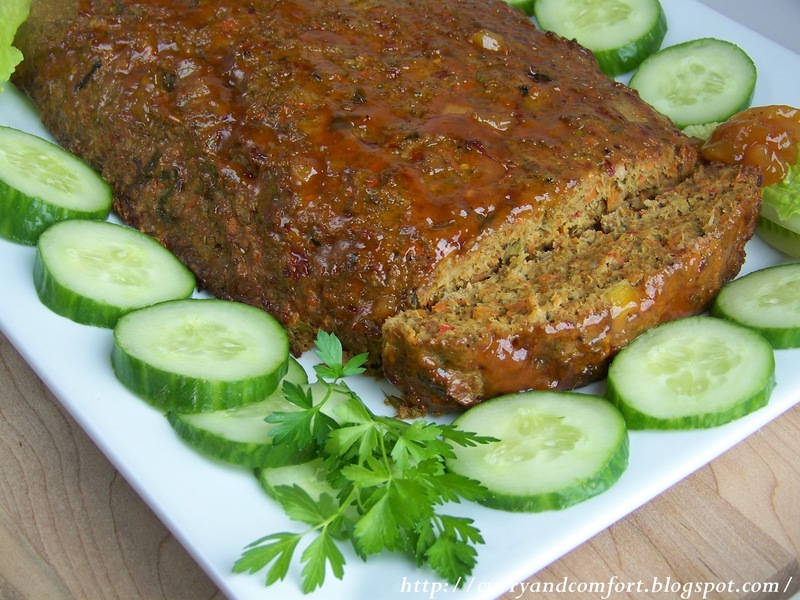 GREAT meatloaf recipe! I'd eat this in a second. :) Congrats on making the Top 9!